Creating a budget phone is often a balancing act between features and cost that get fine tuned as you target specific market segments. The big five in mobile phones do this all the time to covers as much markets as their products can reach. The Korean mobile phone leader Samsung got a few of these handset unveiled at the recently 2010 Mobile World Congress, like the Samsung Monte Bar C3200 in candy bar format and a slider sibling the Monte Slider E2550. These are you basic budget entry level feature phones that Samsung has crafted with a balance of affordability with ensuring the market only gets the features they want. Looking at the press release spec sheet on the Monte Bar, it becomes plain that Samsung did some homework to give the Monte Bar only what it needs to appeal to the market and make each one work at their elemental best. Knowing that its intended markets rarely bothers with 3G or WiFi data plans, Samsung took out any 3G or WiFi feature and left the Monte Bar as a basic 2G in quad band GSM/GPRS/EDGE. It still comes with Bluetooth 2.1 and microUSB 2.0 for local data transfers. Samsung Monte Bar C3200s candybar body measures 111.8 x 46.9 x 13.3 mm and weighs a light 77.3g to put it among the lightest pocket-friendly phones out there. For this size, Samsung could have used a slightly larger display while reducing the keypad size, but prefers to put in a more ergonomic keypad leaving you with just a 2-inch TFT LCD QVGA display with 256k colors. Samsung Monte Bar C3200's the frills that often make one handset more appealing to the market than another and here, Samsung made a wise judgment call to leave the entertainment and imaging features the market has grown accustomed to see in mobile phone at any price point. Samsung Monte Bar C3200Imaging gets a basic 2 megapixel fixed focus camera that would have been a hit back in 2004. You also get QCIF video recording at a mere 15fps frame rate. Its multimedia takes the honors starting with FM stereo with RDS and FM recording, Bluetooth 2.1 with A2DP, DNSe (Dynamic Natural Sound engine) and a 3.5mm headphone jack, not to mention the media playback support for popular audio and video file formats. Entry level and budget phones have the least internal storage capacities and the Samsung Monte Bar C3200 gets just 40 MB and up to 1,000 phonebook entries. You also get microSD expandability of up to 8 GB. With a minimal set of features, its 960 mAh li-ion battery gets to work for up to 8.3 hours of talk time and 500 hours of standby time when fully charged. 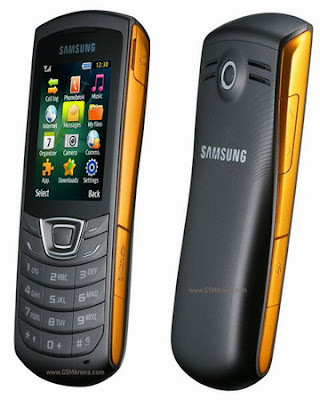 Samsung Monte Bar C3200 clearly is no social networking phone. Though 3rd party apps might do the trick. But even with WAP 2.0 HTML web browser, we won't easily recommend a data plan for surfing on a slow GPRS/EDGE network on a 2-inch screen. The Samsung Monte bar C3200 will only come in black and should ship in the 2nd quarter together with its other Monte siblings. There's still no pricing information but if Samsung prices it correctly, that is below many budget and entry level feature phones, it may have a sure winner in its hands.